Carry on following Estrada Real. For those who wish to experience a little of the history, the tip is to stay in one of the farm hotels established along the routes. Few places along Estrada Real have preserved so well the old farms of the so called Vilas do Ouro (Gold Villages) as Santana dos Montes, Cristiano Otoni and Carandaí have. There are more than 20 farms from the 18th and 19th centuries, many of them recovered and some listed by the State Institute of Historical and Artistic Heritage (IEPHA). They are examples of a particular architecture and many of them have been transformed into pleasant farm hotels. 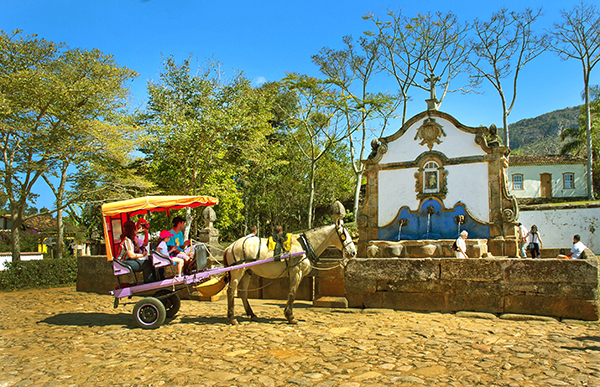 In Santana dos Montes, Fazenda Fonte Limpa farms stands out, certified as Historical and Artistic Monument of Minas Gerais since 1995, due to its outstanding conservation from the Gold Cycle days. Currently it is a beautiful and agreeable farm-hotel. And Fazenda do Tanque, listed by the Municipal heritage, was built in 1863 and it is also a hotel, besides producing great quality cachaça (sugar cane distilled spirit). Other beautiful farms there are worth the visit are: Fazenda da Pedra; Fazenda da Posse; Fazenda do Antônio Quirino and Fazenda do Santinho, Right on the border with Cristiano Otoni, Fazenda da Pedra was built by the slaves on top of a big rock forming the basis of a construction. In the farm it is possible to visit the senzala (slave house), see the trunk used to punish the slaves, besides all the preserved original furniture, other relics such as the original furnitre. The route from Ouro Preto to the calm sea waters of Paraty houses many indescribable surprises. Visiting the many wonders and historical attractions of these trails is like time travel. 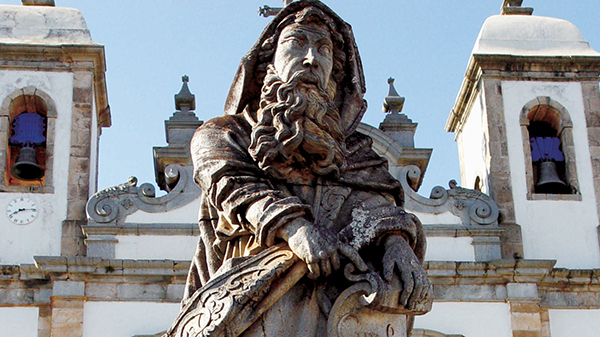 The extraordinary Congonhas, on Caminho Velho route, requires a stop so that you may contamplate one of greatest treasures of the Minas Gerais Baroque: Santuário do Senhor Bom Jesus do Matosinhos – a sanctuary recognized as World Heritage, listed by Unesco in 1985. In the churchyard, the sculptures representing the twelve prophets region solemnly. These amazing works of art were sculptured by Aleijadinho in soap stone. The sculpture of the prophets were ordered to the genius artist in 1795, when the degenerative disease, which he suffered from, was already at advantage stages. However, he concluded the work in 1805. The six chapels symbolizing the Stations of the Cross are also included in the sanctuary complex. Inside each one of them, you can see the spetacular sculptures in cedar wood sculptured by Aleijadinho and colored by Mestre Athayde. At night, the specially beautiful lighting of Santuário do Bom Jesus de Matosinhos is another fine attraction. It is worth traveling to Congonhas, to visit Basílica de Bom Jesus de Matosinhos (from the end of the 18th century and the beginning of the 19th century) and the fantastic sculptures by Aleijadinho representing the 12 prophets, besides the six chapels of the Stations of the Cross, housing the extraordinary sculptures sculptured in cedar by Aleijadinho and colored by Athayde. When night comes, the lighting of the prophets makes them even more impressive. Basílica do Senhor Bom Jesus de Matosinhos, in Congonhas: from every angle, a masterpiece. 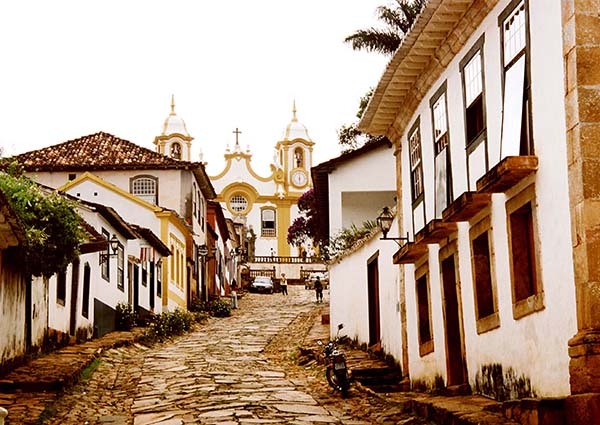 One of the most charming towns in all Estrada Real circuit is the delightful Tiradentes, on Caminho Velho route. 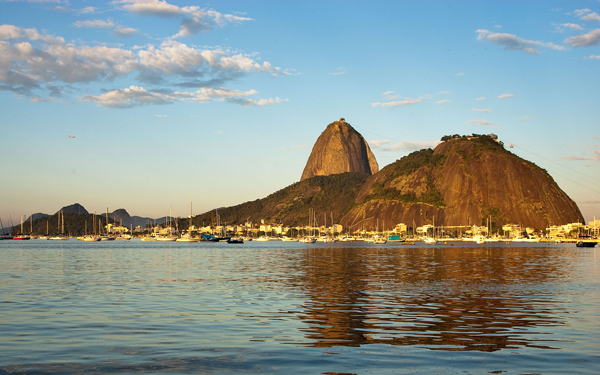 The town, which emerged around 1700 with the arrival of the bandeirantes (pioneers), preserves its cobblestone streets and its colonial houses, many of which transformed into beautiful hotels, bars and restaurants. 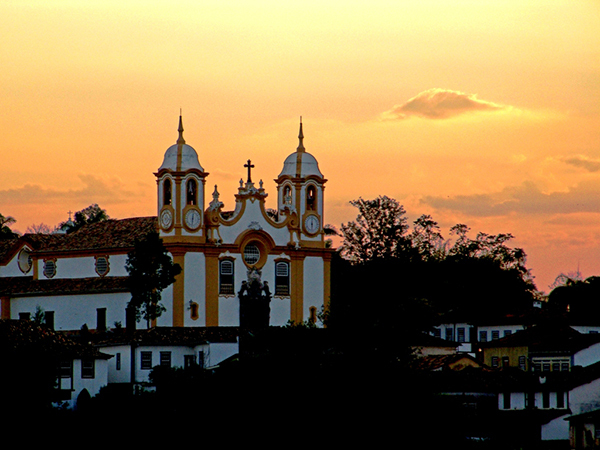 Tiradentes in panoramic view with of the masterly Santo Antônio Church decorating the landscape. Tiradentes has important 18th century constructions. Matriz de Santo Antônio is one of them. The church, from 1710, became one of the most important constructions in the colonial Brazil and also one of the richest: the interior of the church is decorated with immense silver chandeliers; the nave of the church has six altars in baroque style, with wide colums, various angels and splending gilding. In 1778, another item of great value arrived directly from Portugal: the organ in rococo style, painted in shades of beige, pink and blue and embroidered with gold leaves. A relaxing walk is going down the beautiful church street towards Largo das Forras, a well-wooded open space in the center of the town, where the tourists blend in with the locals to rest and eat popcorn. On the way, it is worth passing by the Town Council. Built in mid-18th century, the beautiful house has an enormous porch supported by columns forming arches close to the ceiling. The “Maria Fumaça” coming from São João del Rei on a journei that travels back in time. A little before arriving at Largo das Forras, Chafariz São José, a water fountain, arouses curiosity. The three stone-made carrancas (similar to figureheads), built for providing drinking water to the town, are still in operation today, 265 years after the construction. It is common to see people quenching their thirst at the water fountain on hot sunny days. Another great feature, which Tiradentes is recognized for, is the diversified offer of cultural attractions. It all began in 1998, when a group of film producers thought of creating a film festival, Mostra de Cinema Tiradentes, that would leverage the newly opened Centro Cultural Yves Alves, a cultural center downtown. The festival was so successful that it has never stopped and has also influenced other types of events in the town. From there on, other festivals regarted the town as the perfect place for the great gaterings: some of the events that emerged were: Festival de Cultura e Gastronomia – a cultural and gastronomic festival recognized in Brazil and abroad due to its undeniable excellence -; Bikefest Tiradentes, one the greatest gatherings of motorcycles in the country, and Foto em Pauta, a photography festival. 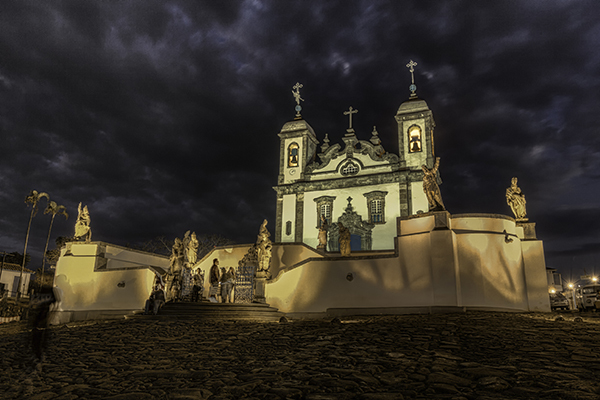 “Minas Gerais photography in one of the most important in Brazil and the festival translates this importance. The fact that it takes place in Tiradentes is essencial for giving identity to the event”, says Eugênio Sávio, coordinator of Festival Foto em Pauta. 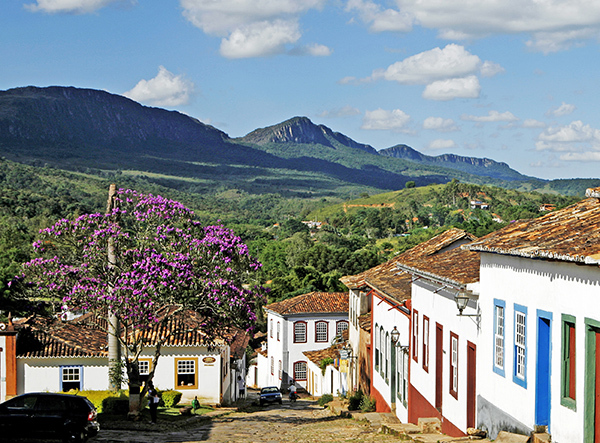 The surroundings of Tiradentes have a lot to offer. 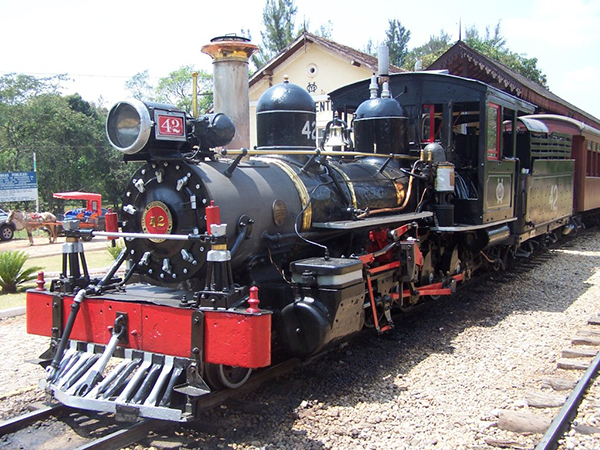 One of the most original attractions is the trip by train Maria Fumaça to the neighboring town São João del Rei. The station, built in 1818, is a real charm. The building is yellow with brown roof and there is a wide space to accommodate the passengers. The train arrives scattering smoke and making noises. Painted in black and red, it even looks like a toy. The 13 kilometers between the two towns are traveled in 30 minutes. In the neighboring town São João del Rei there are plenty of attractions like the magnificent historical constructions. The beautiful Igreja São Francisco de Assis, a church from 1774, which contains Aleijadinho´s signature on the main entrance door, must be visited as well as Teatro Municipal – a theater building in eclectic style, built in 1893 and restored bteween 1922 and 1925. However, the most curious elements in the town are the two stone bridges – Cadeia, concluded in 1798, and Rosário, completed in 1800 – imprinting an almost medieval atmosphere to the landscape. The Church of São Francisco de Assis shines in baroque of São João del Rei. A little further south, still on Caminho Velho route, there are towns which were also explored by the bandeirantes, but which stand out due the another element: the water. The fact that Caxambu,Cambuquira, Lambari and São Lourenço have springs of water with therapeutic properties has made them follow different paths, because they were born prepared to welcome tourists. These towns of the water circuit rely on a huge quantity of hotels and inns, in addition to many types of restaurants and bars and an excellent service infrastructure. 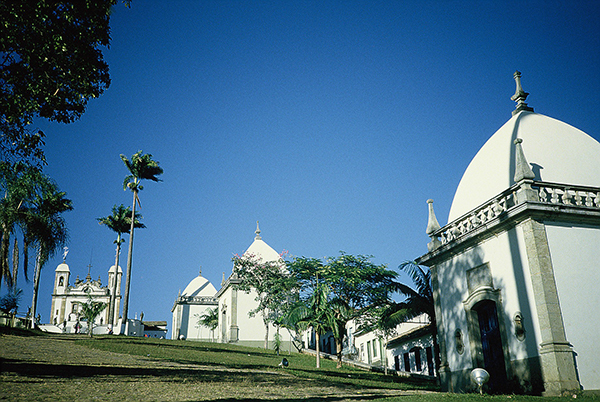 The history of Caxambu is the most emblematic. The springs were discovered in 1814 and then they began to become famous. In 1868 the place receive an illustrious visit: Princess Isabel, who came looking for the cure for her infertility. Having been cured of sickle cell disease by taking ferruginous water, she managed to get pregnant! 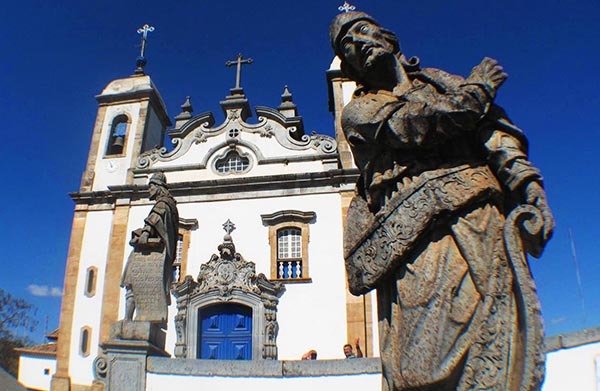 To demonstrate her thankfulness, she erected the church Santa Isabel da Hungria in the village. The two main springs of ferruginous water in Parque Caxambu are called Princesa Isabel and Conde D’Eu, her husband’s name. Parque das Águas de Caxambu, water park, was listed by IEPHA in 1999. It is, undoubtedly, one of the most pleasant places for the tourist to visit in town Surrounded by trees with maple leaves which, in Autumn, fall off and create a beautiful carpet with the various shades of colors, the park has various attractions. Besides the 12 springs of sparkling mineral and medicinal water, it offers playgrounds, space for cycling and roller-skating, flower gardens and a lake with boats. 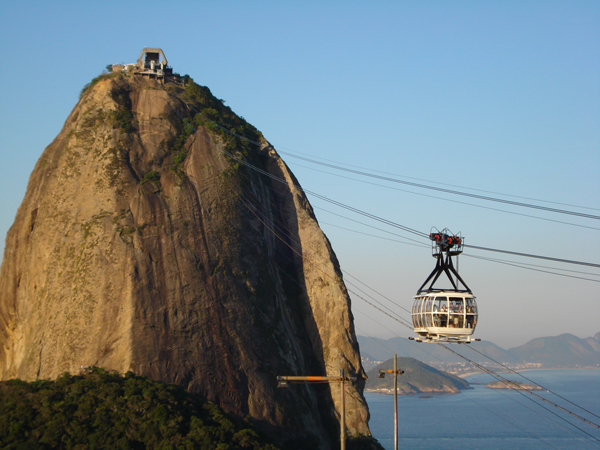 An attraction is going up by cable car to the belvedere, where the statue of Christ the Redeemer reigns. The park also has an area for bathing and therapies. The beautiful town of Caxambu also has other attractions, such as handicraft markets, visits to garment factories and Museu Histórico de Caxambu, a museum consisting of a colonial house painted green and white where the tourist can learn more about the history of the town. The tour to these places and the charming streets, full of well-preserved ald mansions can also be done in a carriage. In Caxambu life flows calmly. It is exactly for this reason that some of the visitors seek the thermal spa town. Cambuquira, 40km from there, also has a water park with five springs with water of all types: sulfur, sparking, magnesium-rich and ferruginous. There is also a spring outside the park, Marimbeiro. The water that runs there is one of the best in the world, comparable to the water from the spa thermal town Vichy, in France. São Lourenço, around 60km of distance, also has a water park with excellent infrastructure. 400 thousand m2 with woods and gardens, besides a roller-skating rink, playground, sports’ courts, a lake with paddle boats and kayaks, among other attractions. 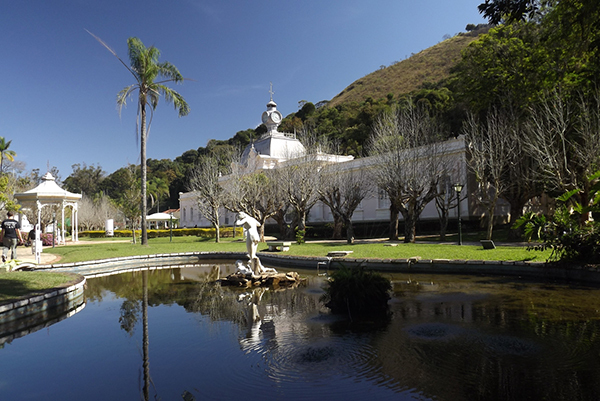 Just like Caxambu, Parque São Lourenço presents resorts for bathing, massage and therapies. Minas Gerais Water Circuit was the first tourist circuit created in the state. Ten towns that also therapeutic water are part of it. Most of the guests come because of the Water Circuit, within the so calles wellness tourism; but, of course we manage to combine it with the Estrada Real brand. One type of tourism completes the other. People say that from mountaintops everything is much more beautiful. Those who travel on Caminho Velho routes, in the south of Minas, will agree. The famous winding landscapes in Minas Gerais are on the route that leads to Pouso Alto, Itamonte, Itanhandu e Passa Quatro, the last towns in Minas Gerais before Caminho Velho gets to São Paulo. Besides being part of Estrada Real, they integrate Circuito das Terras Altas da Mantiqueira (Mantiqueira Highlands Circuit) consisting of eight municipalities. Passa Quatro deserves good comments. 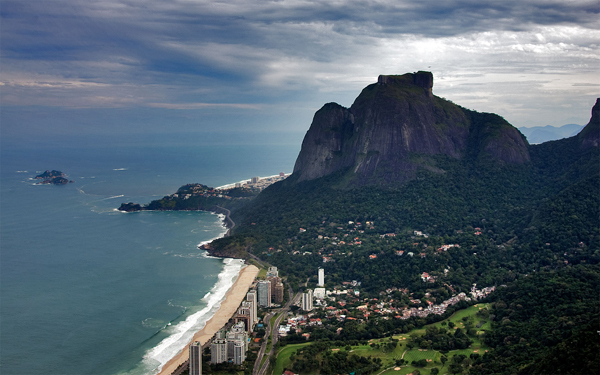 Nestled on the border between the States of Minas Gerais, Rio de Janeiro and São Paulo, it has a very special climate. 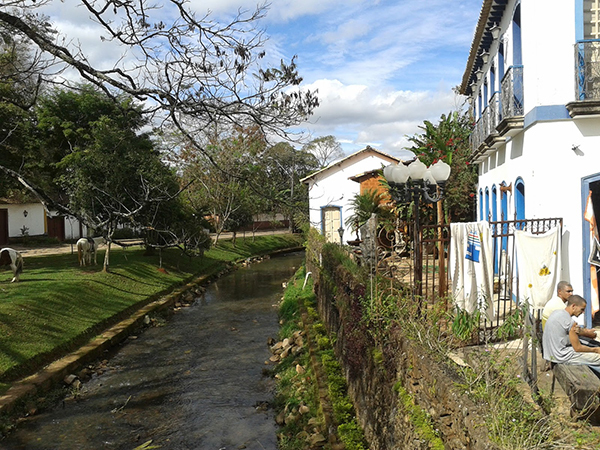 The historical center is full of houses from the end of the 19th century and the beginning of the 20th century, and it was recently listed by Conselho Municipal do Patrimônio Cultural (Municipal Cultural Heritage Board). 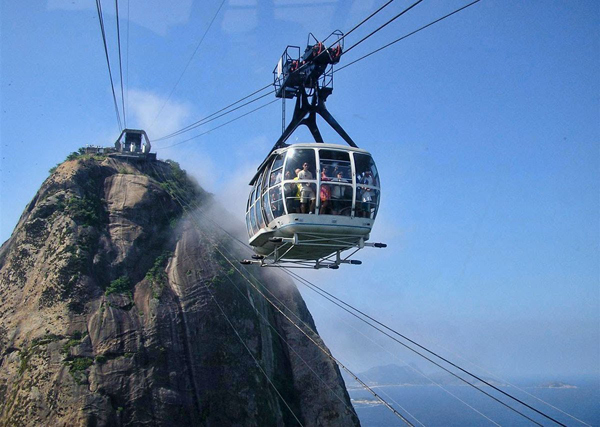 In the historical certer you can find the greatest attractions of the town: Trem da Serra da Mantiqueira. The project of Minas Gerais-Rio Railway Road was to invest in rails and cars so that both states could carry out trade exchanges with greater facility. The works ended in 1884 and 170 kilometers of railroads were built. Currently, only 20 kilometers are in full operation: Trem da Serra da Mantiqueira, which goes from Passa Quatro to the border with Cruzeiro (SP), and Trem das Águas, connecting São Lourenço to Soledad de Minas. Another nice place, Mundo das Miniaturas is a museum which reproduces the important events of the history of Brazil. When talking about the Constitutionalist Revolution of 1932, one of the scenarios of those battles was Garganta do Embaú, a spot on the top of Serra da Mantiqueira, only a few kilometers from there. The region also attracts many tourists who wish to rest. The low temperatures – which may reach below 0ºC during winter – are, for many, an attraction. The region offers a wide range of hotels of all sorts, from cozy cottages to big chain hotels offering a wide variety of leisure programs. During the official expeditions which explored the inland of the Brazilian territory, the Indians were catechized against their will, the Africans had to quiet their beliefs and the Catholic word was blown to the wind. 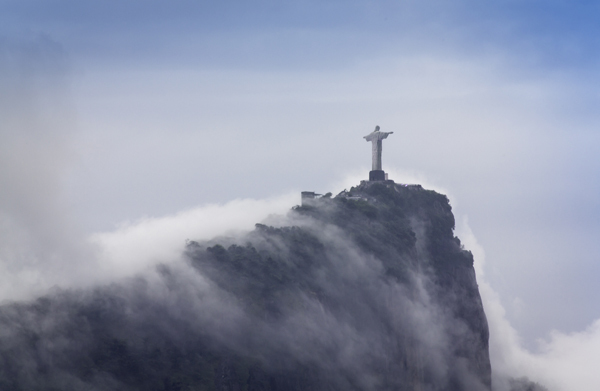 Religion has always been intimately connected to political issues during the period in which Brazil was a Portuguese colony. Today, every city or town has at least one church with the Christian cross, which symbolizes the great adhesion to the religion. Catholicism became part of our culture and important towns in Estrada Real live religiosity fervently. The strongest devotion icon might be Nhá Chica. “Her beatification took place on May 2015. More than 80 thousand people came over”, recalls Rodrigo Nogueira de Almeida, owner of Restaurante do Direu, in Beapendi. Born in 1808, in São João del Rei, Nhá Chica moved to Beapendi at the age of eight. She was always very religious and dedicated her life to taking care of those in need. She used to say her prayers to the Immaculate Conception – whom she called affectionately “minha sinhá” (ma’am)”. After her death, at the age of 87, thousands of devotees began to follow her teachings with much faith. Another important symbol of faith is Frei Galvão. Born in Guaratinguetá (SP), into a wealthy family, he studied in a Jesuit school and there he learned lessons that the would carry with him throughout his life. At the age of 16 he became a novice. Upon completing his studies, he withdrew himself for years. He helped people according to each one’s necessities. 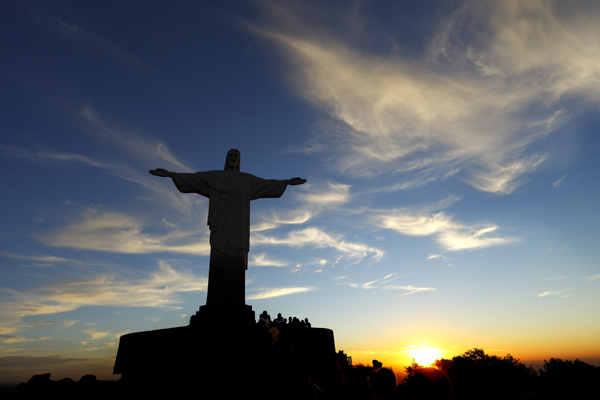 He was canonized by Pope Benedict XVI, and since then the devotion to Frei Galvão attracts thousands of tourists to the town. 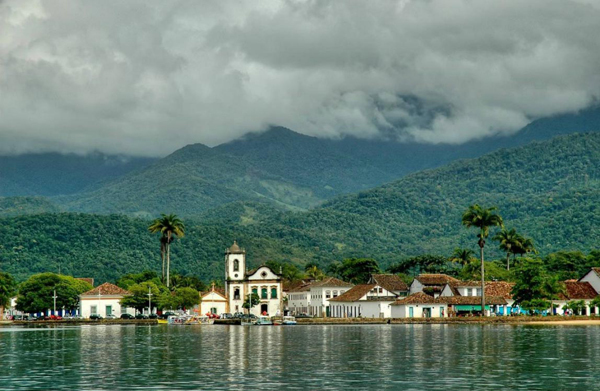 The calm waters that fringe the beautiful Paraty witness the historical leading role of the town, founded in 1667. A little time after the gold mines had been discovered in Minas Gerais, that coastal town became the main distribution pole of the metal to Europe at the beginning of the gold cycle. 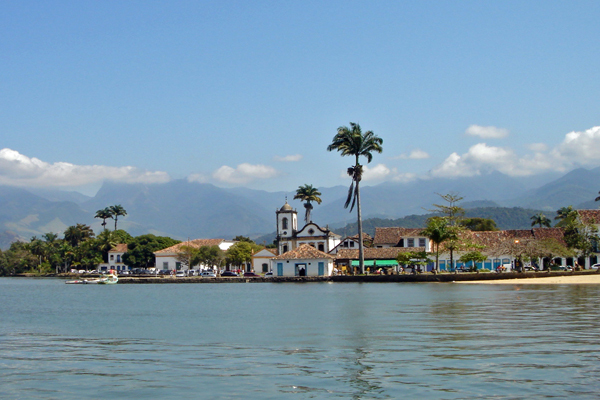 In 1702, Paraty already operated as the official port from where all metals should leave. In 1710, the measure that had stipulated that Paraty be the official port was revoked and, consequently, there was a sharp downturn in the economy. From then on, the merchandize began to be sent directly to the Rio de Janeiro port, through Caminho Novo route. 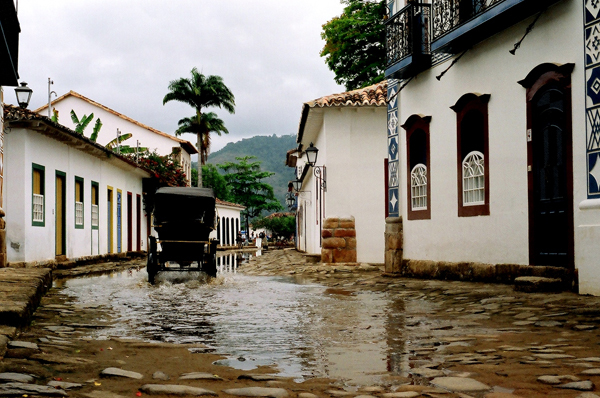 Paraty was forgotten for a long time and began to arouse curiosity at the time of the construction of Rio-Santos road, in the 1970s. The beautiful colonial town, surrounded by water on one side and by the high green mountains on the other, was rediscovered. In view of the new road, the tourists began to come more and more often and in greater number. 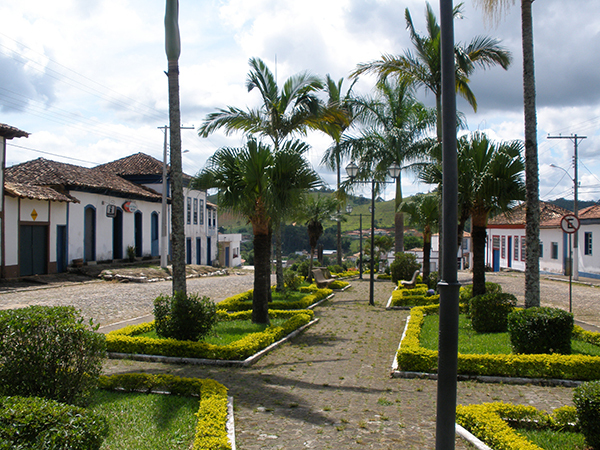 The institutions also realized Paraty’s relevance. Since 1966, the town has been a National Historical Heritage. 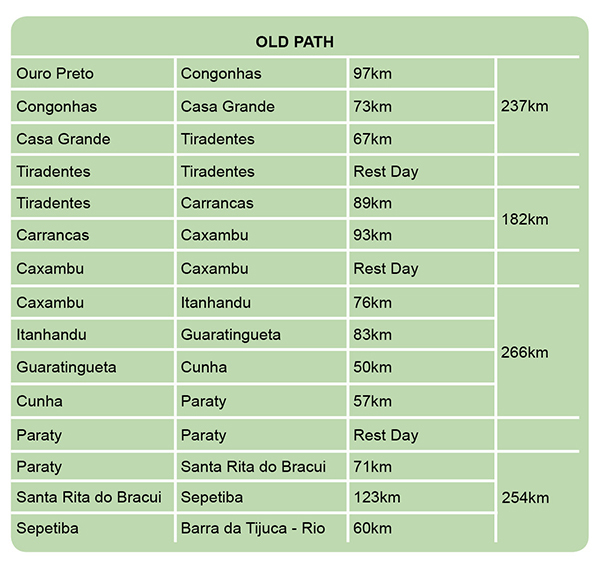 IPHAN (National Institute of Historical and Artistic Heritage) listed the typical elements of Paraty culture such as cachaça (sugarcane distiled spirit), presently intangible cultural heritage of the state of Rio de Janeiro. The local population is still seeking recognition of Canoa Caiçara, a type of boat veru much used in the Brazilian coast, from Paraty to the north of the state of Paraná. Beaches, rivers, mountains, nature, history, culture. Plenty of culture. 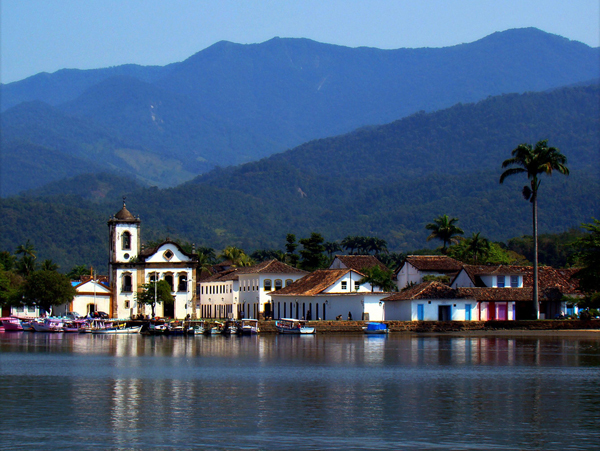 Paraty is a complete destination. 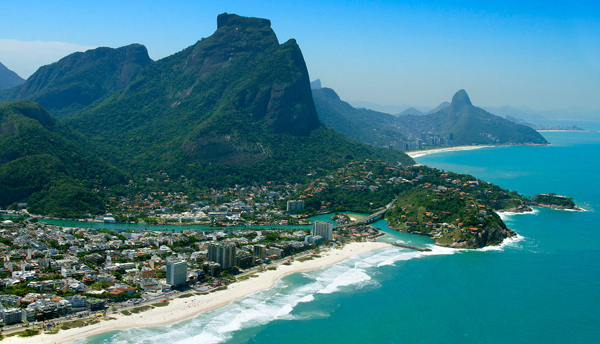 It stands to reason that the town be the second most sought destination by tourists from the state of Rio de Janeiro. It is almost impossible to resist the cobblestone streets which serenely lead up to the ocean. 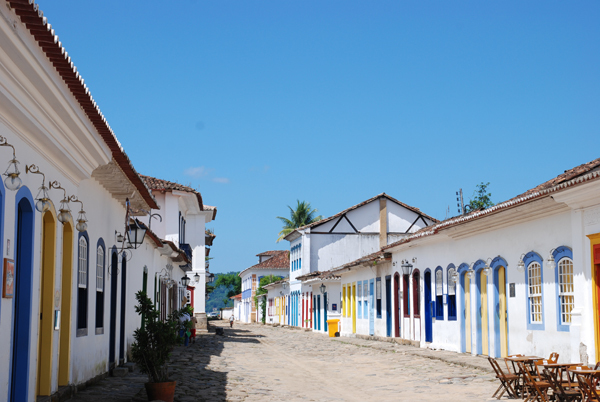 On foot or by carriage visit the streets of Paraty, no motor vehicle circulates there. 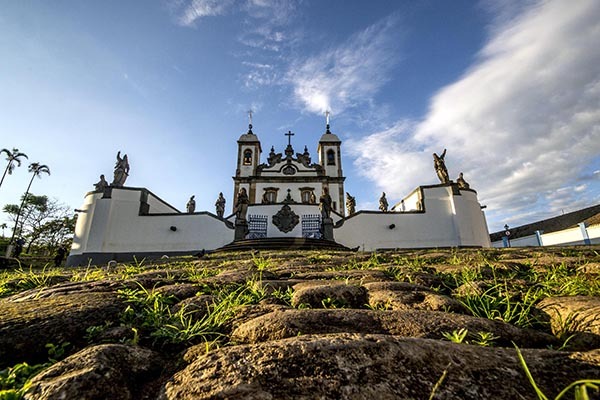 On the visit, you can evidence religiosity built in various churches, like Santa Rita de Cássia – the oldest – Nossa Senhora do Rosário, legacies from the Jesuit architecture in the Colonial Brazil. Two or one-storey houses, normally row houses, are from the 18th and 19th centuries. There are countless cultural events. One of the most relevant is Festa Literária Internacional de Paraty (Flip), a literature festival, a fantastic tribute to the universe of the written word. The fisrt time it took place was in 2003 and nowadays it is recognized as one of the most important events on literature worldwide. Every year the festival pays tribute to a Brazilian writer, reinforcing that the event is more than a festival, it is a real celebration of the literature (and culture) in all the essence. 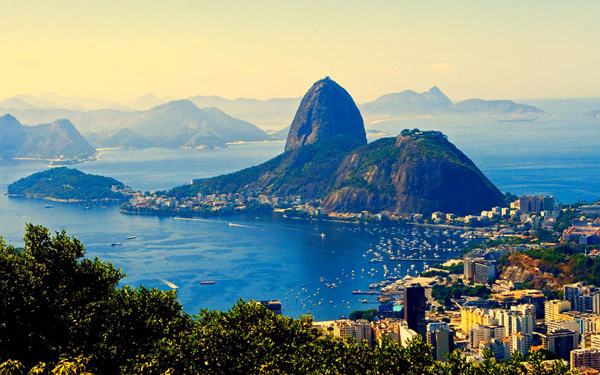 Rio de Janeiro (portuguese pronunciation: River of January), or simply Rio, is the second most populous municipality in Brazil and the sixth most populous in the Americas. 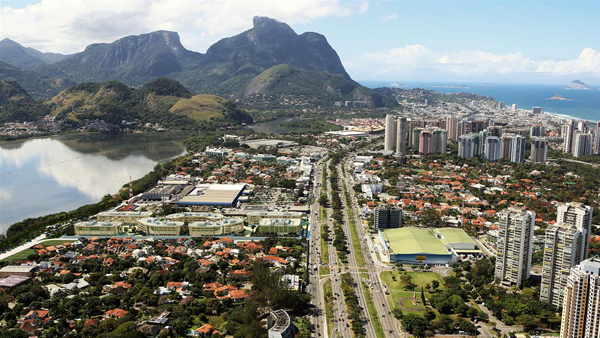 The metropolis is anchor to the Rio de Janeiro metropolitan area, the second most populous metropolitan area in Brazil and seventh most populous in the Americas. 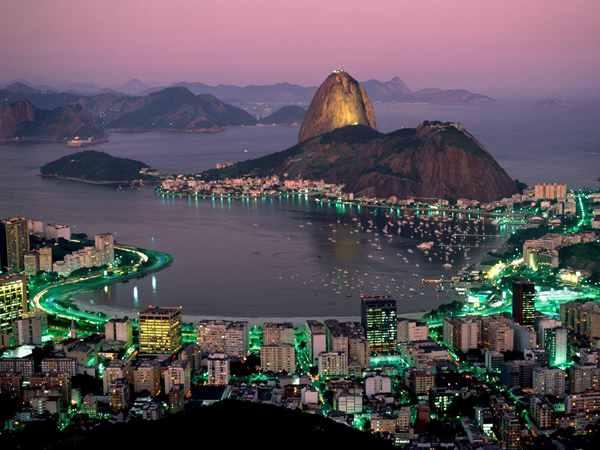 Rio de Janeiro is the capital of the state of Rio de Janeiro, Brazil’s third most populous state. 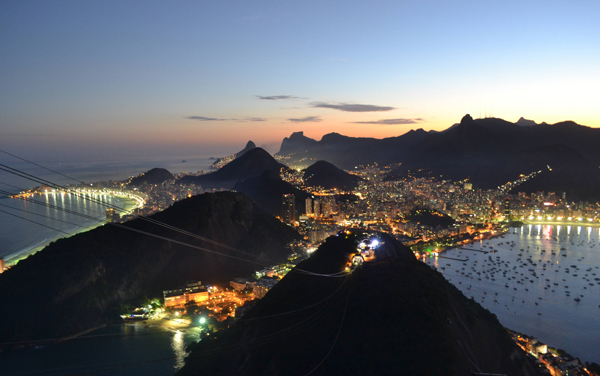 Part of the city has been designated as a World Heritage Site, named “Rio de Janeiro: Carioca Landscapes between the Mountain and the Sea”, by UNESCO on 1 July 2012 as a Cultural Landscape. 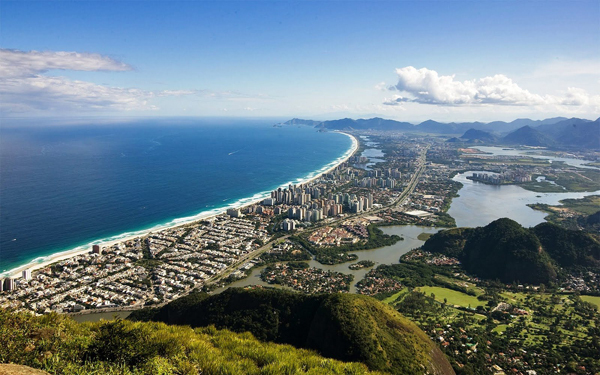 Rio de Janeiro is one of the most visited cities in the Southern Hemisphere and is known for its natural settings, Carnival, samba, bossa nova, and balneario beaches such as Barra da Tijuca, Copacabana, Ipanema, and Leblon. 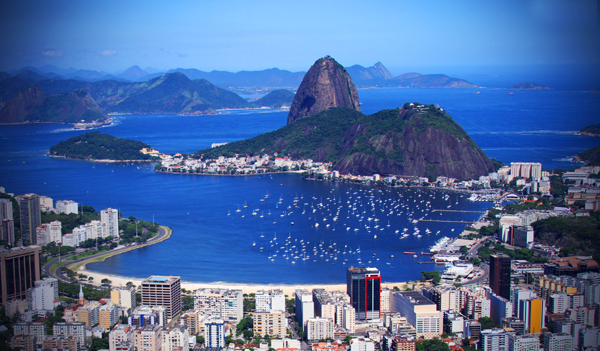 In addition to the beaches, some of the most famous landmarks include the giant statue of Christ the Redeemer atop Corcovado mountain, named one of the New Seven Wonders of the World; Sugarloaf Mountain with its cable car; the Sambódromo (Sambadrome), a permanent grandstand-lined parade avenue which is used during Carnival; Pedra da Gávea and Maracanã Stadium, one of the world’s largest football stadiums.